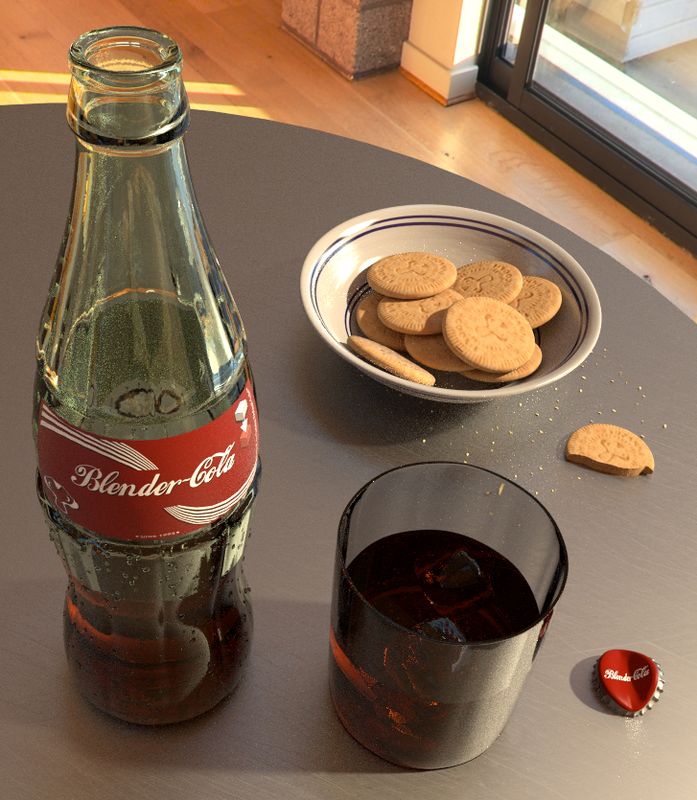 Here is an update of the Coke and Cookies scene I've been working on. I think it's pretty much done now. Creating all the materials and setting up the scene has given me a greater understanding of how Cycles works. There's nothing like getting your hands dirty to learn something new!